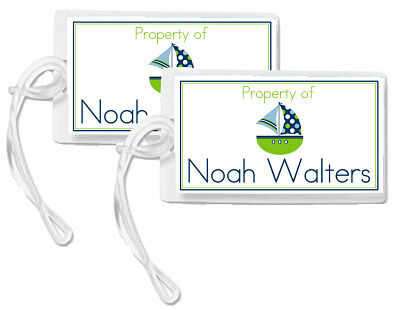 Adults and kids can use Bag/Luggage Tags to label items for work, daycare, school, gym, sports, summer camp and travel. 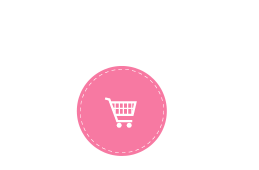 Some examples are: children's backpacks, lunchboxes, sports bags, men's golf bags, diaper bags and of course luggage. 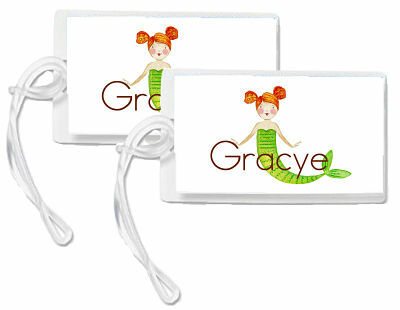 They can be personalized with your name/monogram on the front and back or your name/monogram just on the front with contact information on the back. 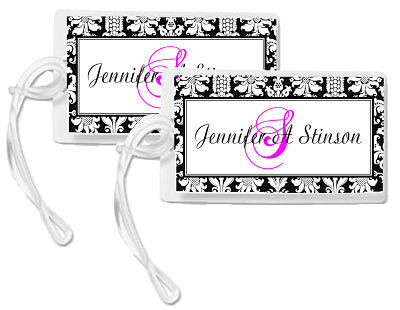 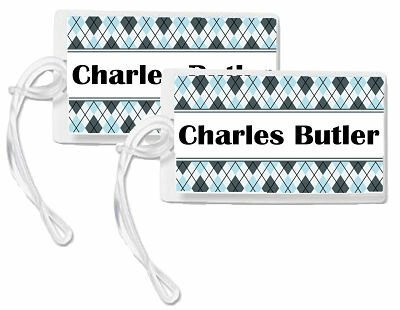 Bag/Luggage Tags come in sets of 2 laminated tags and include loops for attaching.